Today, June 3rd 2013, Adobe Captivate 7 is released. I have been participating in the beta test of the product and there is some great new stuff available to you now. 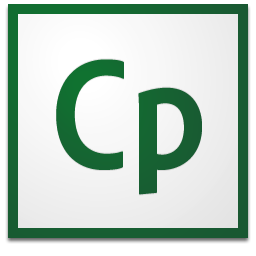 If you are an Adobe Captivate Subscription user or have ASA coverage you would have gotten some of the new features already in the Captivate 6.1 update. In Adobe Captivate 7 all the additional features that were made available in Adobe Captivate 6.1 are included. Another very positive thing that I’d like to mention is that this time Adobe has been engaged in a very constructive collaboration with us Widget Developers about changes in the Widget API. Essentially this made it possible for us to test and ensure that our widgets work as they should in Adobe Captivate 7. 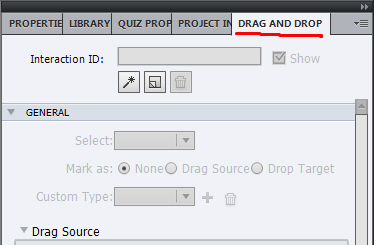 Native drag and drop capability in Adobe Captivate. This has been a feature that has been requested by users for years and years and now it has arrived in Adobe Captivate 7. Prior to Adobe Captivate 7 (well 6.1 to be 100% accurate) you did not have this functionality in Adobe Captivate but thankfully InfoSemantics created some amazing widgets that allowed you to easily create drag and drop in your Adobe Captivate projects. With Adobe Captivate 7 you can create Drag and Drops that work on desktops and on iPads. Finally you are able to capture system audio when you are capturing applications and screens with Adobe Captivate. Adobe Captivate 7 will make life easier for the people deploying their content to Moodle. In the Quiz Reporting properties you can now select a special “Moodle” template that will ensure that your project works as it should in Moodle. This allows you to import questions using the GIFT format directly into Adobe Captivate 7, saving you loads of time typing and copy/pasting stuff. In Adobe Captivate 7 you can publish your courses with the new Tin Can standard and it will integrate perfectly in your LMS (provided it runs Tin Can of course). Better suited for Corporate IT Environments. In Adobe Captivate 7 there are some small changes that will help to make the product more suited for corporate users. No more stuff installed in your Roaming Profile clogging up your network and user profile, so this is great news. Multi-SCO Packager now installs with Adobe Captivate 7. Earlier you had to purchase the eLearning Suite in order to get hold of the Multi-SCO Packager for Adobe Captivate. This was something that a lot of people were sad about and thankfully Adobe has listened so the Multi-SCO packager is now included with Adobe Captivate 7. Enhanced Accessibility Support with Adobe Captivate 7 content aligned with the WCAG specification and optimized for the JAWS screen reader. In Adobe Captivate 7 you are now also able to specify the tab order, which always has been hit and miss in earlier Captivate versions. Shared Advanced Actions. In Adobe Captivate 7 it is possible to create Advanced Actions templates that can be reused in multiple projects. It’s still not an ideal workflow, but it is definitely a step in the right direction. If you are a Math teacher you will love the new “Equation Editor” from Math Magic, that is included with Adobe Captivate 7. Adobe Captivate 7 is available as a single purchase (normal license) product and as a subscription based product. 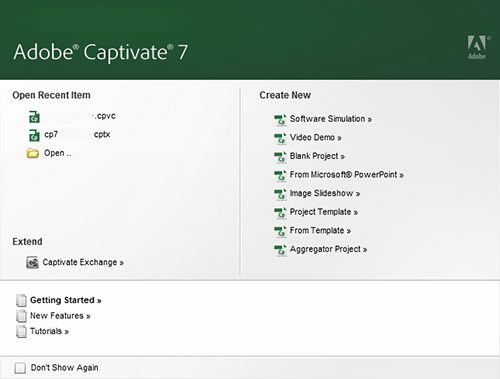 You can download the trial version of Adobe Captivate 7 and try it out for 30 days. Michael, the new version has some great features. I struggle with Captivate in a shared drive environment; it seems Captivate (and generally Adobe, I believe) does not like network drives for locations of caches (which is no problem to accommodate) and published files but it works. When I use UNC file locations Captivate has many delays, when I work locally, it is very fast. It seems like Cp7 is faster and it may be because is it “Better suited for Corporate IT environments.” Can you comment on whether the UNC matter is improved. One of the first things I noticed about Cp7 was the “automatice-alignment-guide lines.” I use other methods for alignment of objects especially with a group of more than a few objects. But for just a couple of objects to move, the guide lines are a great help. The Drag-and-Drop interface is excellent but I have to say, the predecessor from Infosemantics helped me immensely and I am grateful. Thanks for the great overview. It is an exciting release.